Gas Safe Register has Safe Register has revealed new statistics showing that gas safety has improved in the UK during the three years since the Register was introduced. Nearly 2,000 cowboy gas fitters have been targeted by Gas Safe Register inspectors since 2009, resulting in £500,000 worth of fines, and the imprisonment of seven people found guilty of carrying out dangerous gas work. Gas Safe Register has estimated there are 7,500 rogue gas fitters operating across the UK, who lack the skills or qualifications to do the job safely. In the past three years since taking over the register of qualified gas engineers from CORGI, Gas Safe Register has checked the safety of nearly 120,000 gas jobs, carried out by legal, registered installers. It said the total number of safety checks has increased by 25% since the Register began – the equivalent of 24,000 more homes. In the UK last year 10 people died and more than 330 were injured from gas-related incidents. There were a further 50 accidental deaths and 4,000 accident and emergency attendances relating to CO poisoning last year. With the Queen's Diamond Jubilee just a few days away, we've got all patriotic here as Fires | Fireplaces | Stoves and have decided to pick out a select few manufacturers that are proud to be British. 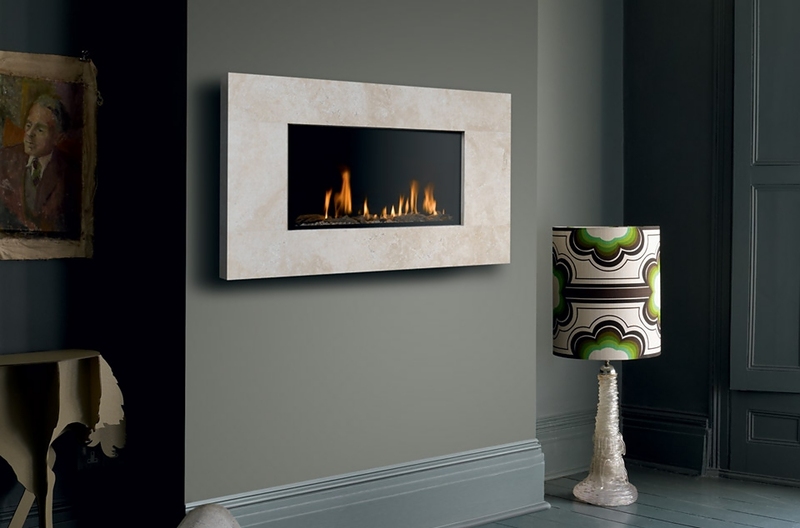 Infinity Fires are a showroom exclusive range of Hole-In-The Wall Gas Fires that can also be built into a surround. These fires feature the very best in flame effect and build quality, built in Telford, Shropshire. View one of the Infinity Fires in action HERE. These fires also enjoy a backlit, thermostatic remote control that allows the fire to maintain a room temperature automatically! Now we head up to the North East to visit Bemodern Fires, based in Tyne & Wear, Bemodern Group have been making fires and fireplaces for the best part of 40 years and with over 500,00 square feet of manufacturing and warehousing space, Be Modern continues to deliver high quality products to meet the needs of an extremely diverse range of customers. With best-sellers such as the Bemodern Orlando or the showroom exclusive range of Elgin & Hall. Crystal Fires, In 1990 two brothers, Chris, a gas engineer now with over 30 years of experience and Ian, a skilled sheet metal worker, combined their expertise and opened a retail outlet in Liverpool selling fires made by Ian to be then installed by Chris.Over the years Crystal Fires have worked with the British Gas Testing House for their product development, approvals and licensing and have gone from strength to strength, winning awards on the way for their original innovative designs, ranging from the Crystal Miami & Manhattan to the brand new, showroom only Boston Gas Fire. We've taken you behind the scenes at Bemodern, given you the company history, now it's time for us to have a look at some of their products that caught our eye. Lets start with the ever-popular Bemodern Orlando, this hang on the wall electric fire launched the LED style flame effect a few years ago, but age does not appear to have dampened the popularity, with a price of just £299 from Fireplace Megastore and boasting features normally reserved for higher priced products such as remote control, ambient mood lighting and thermostatic control. Available in both a 36inch or 42 inch flat black glass fascia as well as a very contemporary 36 inch curved that does an excellent job of masking the depth the fire comes out of the wall. Next we take a look at the Bemodern Portia Fireplace Surround, this stunning micro marble fireplace surround features incredible detailing on the inside of the pillars and roman arch gives the Portia a softer appearance than similar fireplaces on the market. 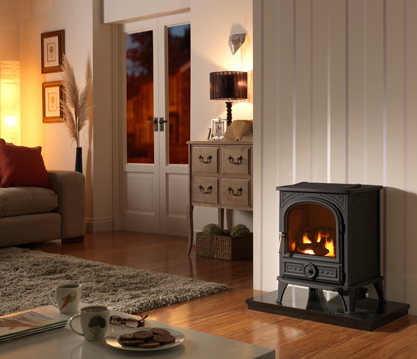 At first glance, another feature that stands out on the Portia is the 5 sided hearth. This, much like the curved fascia for the Orlando can soften the depth of the hearth, but for those with pre-cut carpet never fear. 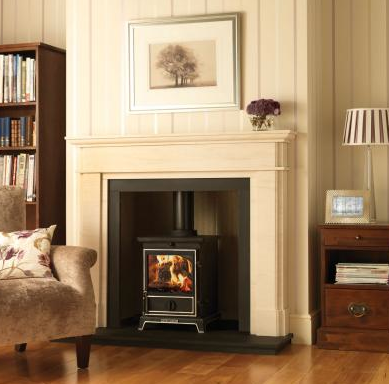 The Portia is available with the standard 3 sided square hearth. Featuring a standard 16.5 x 22.5 inch fireplace opening, the Bemodern Portia Fireplace Surround will be suitable for most gas and electric fires. But that is not all the Portia has to offer, just wave your hand under the mantle and the optional LED Downlights burst into life, so even when the fire itself isn't on, your fireplace can still be a focal point of the room. The motion sensor means no more fiddly switches, just a gentle wave of the hand you can turn these elegant, and energy saving, LED lights on and off. 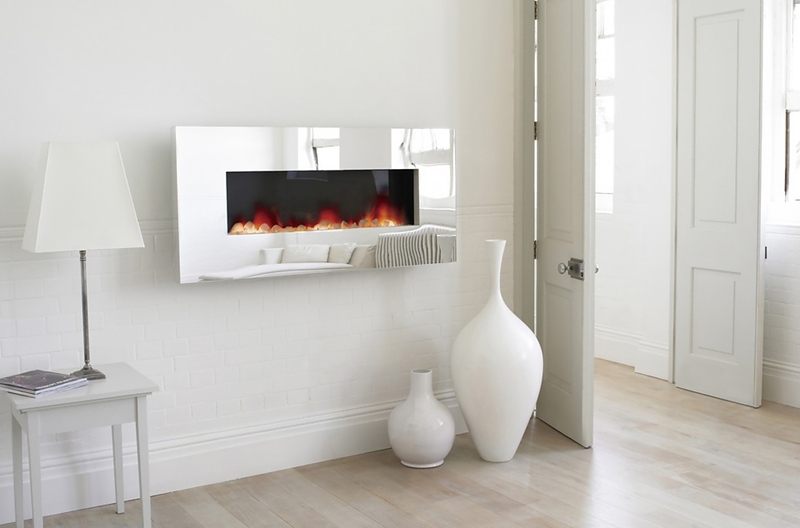 Last, but certainly not least, we showcase one of Bemodern's new LED inset electric fires, The Bemodern Lexus. 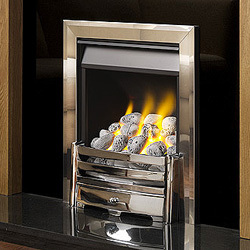 These fires use the same groundbreaking flame effect that is featured in the Orlando and combine it with a unique trim design. The Bemodern Lexus is just one of these inset electric fires, available in Brass, Black or Contemporary Chrome this fire would suit almost any interior design. While the independent flame effect means you can enjoy the low-energy flame effect without any heat, but for that quick burst of heat, the Bemodern Lexus features a 2kW fan heater to quickly circulate heat around the room. The real beauty about this fire itself is how well thought out the design of trim is. Available with two types of trim; A standard trim for fully inset fitting, that also comes with two spacers for semi-inset or fully outset fitting. Or a deep trim that allows the fire to be fitted into a surround with a 75mm rebate and requiring no further depth in the wall! For those of you watching DIY SOS last night, you may have spotted the woodburner being carried in and burning away happily in the final few shots. Liked the look of it? We can tell you that it is an Aarrow Ecoburn 5. Smooth, curved lines and a large fire-viewing glass give the Ecoburn a decadently modern yet functional feel whilst the carefully engineered, easy to use controls give you extraordinary command over the fire, allowing you to generate more heat from your fuel and naturally resulting in you needing to use less. The beautiful design of the Ecoburn makes it a stunning centrepiece of any room, whilst its astounding efficiency saves you money. Generate more heat whilst using less fuel with the unique controllability of the Ecoburn. While also available with a more traditional stove canopy or with glass tracery to give a more homely feel. 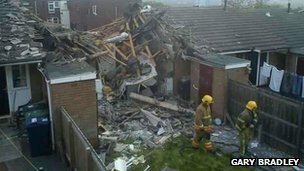 A gas explosion has injured six people, including three police officers, on Tyneside. One of the officers suffered serious burns in the blast, which ripped the roof and front off the bungalow. Debris was thrown up to 60ft (18m) from the house in Marian Court, Gateshead. The six, including a paramedic, gas engineer and an elderly man who lived at the bungalow, are in hospital in a stable condition, police said. Supt Dave Byrne, of Northumbria Police, said: "The house has been completely destroyed. "It has been a sizeable force that has caused the damage." 'Blown off his feet' The officers reported a strong smell of gas after they were called to the property when concerns were raised for the safety of the man in the house. The occupant was being led away by a paramedic wearing protective gear when the blast occurred. The paramedic shielded the pensioner from the worst of the force of the explosion, a North East Ambulance Service (NEAS) spokesman said. "Our paramedic suffered chest injuries and was blown off his feet by the force of the explosion as he shielded the elderly man," the spokesman said. Three police officers who had led the man from the bungalow were also hit by the explosion, along with a gas engineer. Sean McKee, from Tyne and Wear Fire and Rescue service, said: "There were police officers trying to remove the elderly gentleman from the property when the blast happened. "They removed the gentleman but sustained various injuries which has resulted in them being taken to hospital. "The officers tried to vent the property while trying to remove the gentleman from the property." One eyewitness told the BBC: "It was a huge explosion which shook neighbouring properties and destroyed the bungalow." The Health and Safety Executive is leading an investigation into the explosion, police said. The injured paramedic is a member of the hazardous area response team trained to deal with non-standard 999 calls. A spokesman for the Northern Gas Networks said: "Our engineers isolated the gas supply to the properties affected by the gas explosion in Gateshead and have made the area safe. "We can confirm that the explosion was not the result of any issue with the local gas network." In parts of the UK with no mains gas, some homes use liquid petroleum gas (LPG) instead. This is normally used in a ‘wet’ heating system where an LPG-fired boiler heats water, which provides central heating through radiators and hot water through the taps in your home. The main difference between mains gas and LPG is that the latter is delivered by road and stored in a tank, which you may have to buy or rent from your supplier. Some boilers designed for mains gas can be converted to use LPG. These annual costs are estimated costs based on heating and hot water demands of a three-bedroomed, semi-detached, well-insulated house (insulated cavity walls, 270mm loft insulation, thermostatic radiator valves and insulated primary pipe work), the efficiencies of typical heating systems and the current average price of LPG per litre (as at Feb 2012). They are not derived from actual fuel bills. LPG is a highly-efficient fuel, so you get a good return on every unit of energy. Modern condensing boilers, which use hot flue gases that are wasted in a standard boiler, now achieve efficiencies of 90% and more. Replacing a standard LPG boiler with a highly-efficient modern condensing boiler is a relatively straightforward job. See boiler reviews area for models from Which? Best Buy brands. As gas is the most widely used heating fuel in the UK, finding a plumber should be fairly easy if your boiler breaks down or needs servicing. Plumbers and repairers who carry out work on boilers are required by law to be on the Gas Safe Register. You can check an engineer or firm's registration on the Gas Safe Register website or by calling directly on 0800 408 5500. Which? members can find details of plumbers in their local area that have been recommended by other Which? members at Which Local. Like mains gas and oil, LPG prices are on the rise and are likely to remain high as the UK competes with growing demand from other countries. The Office of Fair Trading investigated the off-grid energy market following sharp price rises in winter 2010 but concluded that the market did not need price regulation. You can read more about the market probe in our story: Heating oil homes to face another hard winter? CHIMNEY fires have cost Gloucestershire Fire and Rescue service £35,000. Firefighters from across the county have been called out to chimney fires 162 times this year. And with the average cost of a call out around £210, the fire service is now calling for all those with chimneys to make sure they are swept regularly. Chief Fire Officer Jon Hall said: "Our firefighters do an excellent job all year round but too often they have to deal with chimney fires that could have been avoided through proper maintenance. "The cost may not seem that much, but when you think about the number of chimney fires our crews have been called out to recently, it all adds up. "If you do have an open fire in your house, please make sure that your chimneys are swept by a competent chimney sweep. "This will ensure that the flue is not blocked and that smoke and gases can escape safely. "It doesn't cost much to get your chimney or flue serviced – between £40 and £60 depending on your type of fire, but it can cost a lot more if you choose to ignore it." Steve Banwell, 54, has run Traditional Chimney Sweep based in Charlton Kings for 31 years. His sons Mark, 27, and Gary, 25, run the family business with him. He said: "Most chimney fires are through negligence and a lot are through ignorance. People do not realise that it is like cars – if you do not maintain them then you will have problems. "The amount of times you should sweep your chimney depends on how often you use, but I would recommend once a year as a minimum. "Most of the calamities that are caused are because people move into new homes and presume they have been swept." Chimney sweep Tim Moore, from Charlton Kings, runs T.D. Moore Chimney Sweep and has been cleaning flues across Cheltenham for 25 years. The 50-year-old said: "If you are burning wood then personally I would recommend that your chimney is swept twice a year. "Most people only get it done once a year, but I think more often than that is sensible. "Occasionally you do go out and you see chimneys that have been left and left. I have seen fires which have completely ripped the roof off homes and their neighbours. "It is common sense, when it only cost around £50, to just get it done. "There is a very big resurgence in solid fuel burning because of fuel prices and sales of wood burners are up, so it is more important than ever for people to know their responsibilities." Spring has finally sprung so make the most of the warmer weather to give your woodburning stove a well-earned break for a few months! Before you do so, though, give your stove a spring clean to ensure when you return to it in the autumn, everything is of the highest quality and the wood burner is operating beautifully. Getting your stove in order now certainly makes sense, especially as hopefully you won’t need to fire up any more logs in the stove until September/October time. And even if we do have the odd cold snap, an annual thorough clean of your stove helps to maintain its efficiency as well as prevent bigger problems from arising. You should have your chimney swept and check the inside/outside of your stove too. HETAS-registered engineers will be able to carry out a service on your woodburning stove, but it is possibly to spring clean your own stove should you choose to do so. Always read your user’s manual before beginning any maintenance work on your stove and make sure you feel confident to do the task yourself – if you’re in any doubt or think you need assistance, call for a professional stove engineer. In order to properly clean the inside of your wood burner, you need to empty it first. This means removing all the internal parts, including the firebricks, grate, ash pan and baffle. Take special care with the firebricks as regular use means these are susceptible to cracks and chips when handled. Once emptied of the parts, you can give the inside of your stove a quick hoover. This removes any surplus ash and debris, and lets you see the real state of the stove’s interior. You may need to use a wire brush and scraper to give the inside an overhaul, before hoovering up any waste. The individual parts should be cleaned separately. For example, the grate can be cleaned using a wire brush to remove debris. Look for any damage and if you find some, you may need to replace the grate. Similarly, check over the firebricks to ensure there are no broken ones – if there are, replace these bricks. Because of the fragile nature of these bricks, use a soft brush to clean them. Before replacing the parts back into the stove, the door will need attention. Remove the glass from the door so you can clean it and inspect it for any damage. Also check the rope seal and throw this away if it looks worn. To replace the rope seal with a new piece, first remove the leftover glue from the door frame, and then glue the new seal rope into place before refitting the door. As your woodburning stove is such a focal point in your home, you’ll doubtless want to keep it looking great on the outside too. Check for rust – we have tips for you if you need to remove rust from your stove – and you may want to repaint the outside of the device. This is easy to do and breathes new life into the device, with the option to use spray or tin stove paint. From the late 18th century children formed a rising proportion of the population almost two out of five people by the mid-1820s. It was common for them to work to supplement family incomes. Orphans and abandoned children came under the care of the Poor Law, but were usually put into the care of employers who provided for them in return for their work. Parliamentary concern over the exploitation of child labour in the 19th century is usually associated with factories. In fact the beginnings of such concern was focused on the 'climbing boys' recruited by chimney sweeps or apprenticed by parish authorities to climb into and clean chimneys. In the 1760s, Jonas Hanway, a wealthy London merchant and philanthropist, campaigned extensively to improve working conditions for sweeps' apprentices. Eventually, an Act of 1788 specified a minimum age of eight years old for apprentices, but this and other regulations were never enforced. In the early 1830s, as Parliament became more preoccupied generally with the exploitation of child labour, the Chimney Sweeps Act was passed in 1834 outlawing the apprenticing of any child below the age of ten. Furthermore, no child was to be actually engaged in cleaning chimneys under the age of 14. In 1840, a revised Chimney Sweeps Act raised the minimum age of apprenticeship to 16. As with earlier legislation, this was largely ignored due to the absence of any means of enforcement. Children younger than ten were still being made to climb chimneys. 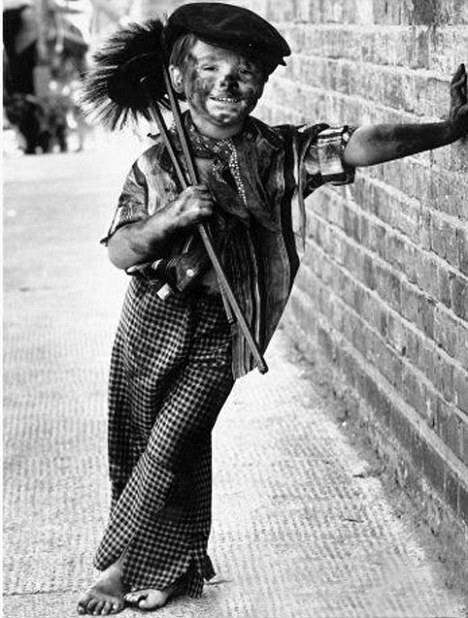 In 1863 the publication of 'The Water-Babies', a novel by Charles Kingsley, did much to raise public awareness about the gross mistreatment of children in this kind of employment through its central character, Tom, a child chimney sweep. Parliament responded the following year with a new Chimney Sweepers Regulation Act. This was ineffective despite its humane purpose. In 1875, a successful solution was implemented by the Chimney Sweepers' Act which required sweeps to be licensed and made it the duty of the police to enforce all previous legislation. A happy customer has had a Burley Holywell installed in the living room of their 3 bedroom 1960's chalet-style house last September, along with a flue liner. It replaced an old open fireplace. 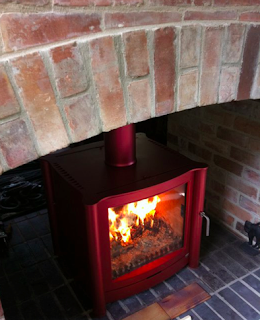 The below report gives nothing but praise for the highly efficient stove from Burley. We chose the Holywell because it was engineered specifically for burning wood and we live in the middle of an estate forest so that is all we would be burning. We were also attracted to the simple lines of the thing which are very stylish, the very large viewing window, and the published efficiency ratings. The fact that it is designed and manufactured in the UK was also a plus point - I called Burley with come questions when we were having the stove installed, spoke to a very helpful lady who was able to answer some of our questions and ended up speaking to the chap who designed it who was incredibly helpful - excellent service. Now that we have gone through one winter using it almost every day, we couldn't be happier with our choice. The stove is very easy to light and gets up to running temperature quickly. The single air control is very responsive and it is simple to adjust the heat output / burn rate as desired. The airwash works very well and after a whole day and evening of burning the glass only has a thin layer of white ash on it, which is easily removed with some damp kitchen roll. The heat output has exceeded our expectations - it heats our 6.5m x 4.3m living room easily and we found that we were leaving the downstairs doors open to allow the heat to drift around the rest of the house - it has certainly cut our oil consumption dramatically. Compared to our old open fire, we found that we were using much less wood to produce much more heat - a 1kg log lasts about 45 mins on our preferred setting, and once the stove was up and running we did not need the central heating on at all. We love looking at the amazing flame patterns created by the air-introduction system. Rather than having vents directly open to the air, the controller regulates an opening at the back of the stove through which the air is drawn before being injected into the firebox through a series of small holes all around the interior of the stove. These holes are positioned in such a way as to create a vortex which, when there is sufficient fuel in the box, creates what I can only describe as a "flame whirlwind" when the controller is fully open. It's certainly a talking point whenever visitors come around. Finally, the wooden handles are an excellent idea as they remain cool to the touch no matter how long the fire has been burning. The door handle does become loose after a while but this is easily tightened up with an allen key. We've never tried to keep the stove in overnight, so I have rated this as 3. 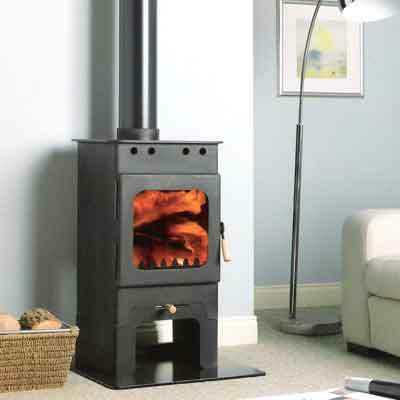 We did a lot of research before choosing a stove and found the reviews on this website very helpful, so hopefully this review will help others with their decisions. We would happily recommend this stove to anyone. Why Does My Gas Fire Need Servicing? Appliances should be serviced regularly in accordance with manufacturer’s instructions. Some manufactuers that offer extended warranties, such as Crystal Fires (5 Years) Verine (7 Years) Kinder (7 Years) require an annual service to maintain the extended warranty. Servicing your gas appliances regularly will make sure they are safe to use. It will also maintain your appliances efficiency and performance. All Gas Safe registered engineers must follow the Gas Industry Unsafe Situations Procedure (GIUSP) when assessing the risks of an unsafe gas appliance. The guidance provides 'best practice' advice to Gas Safe registered engineers on how they should deal with various gas safety concerns which may affect your safety. It is very important that you get your gas fire service annually not only because it prolongs the life of your appliance but also it reduces the chances of your appliance malfunctioning and potentially cause lethal carbon monoxide poisoning. Also if you are a landlord with a tenanted home featuring a gas fire you must make sure that you always maintain and service you appliance and also hold a valid Landlord's Certificate. If you do not know or simply can not remember when your gas fire last had its service, then please contact a GasSafe installer to arrange a much needed service - save your money and possibly your life. High style, A new generation of wall fires incorporates sleek contemporary design and some of the greenest technology on the planet. From flueless to frameless, electric to gas, this exclusive and easy-to-install Acquisitions collection has the ideal solution for every home. If you’re looking for something extra, you’re looking for an X-FIRE. Available as Electric, Balanced Flue and a Flueless gas fire range. You won't find a more efficient gas fire than flueless. Acquisitions leads the field in eco-friendly fireplace technology and these unique flueless designs – perfect for rooms with no chimney – are 100% efficient. For every kilowatt of gas you put in, you get a kilowatt of heat back, so running costs are less than half those of a normal 7kW gas fire. What’s more, they’re odour-free and low on CO2 emissions. There couldn’t be a more beautiful way to reduce your fuel bills and carbon footprint. 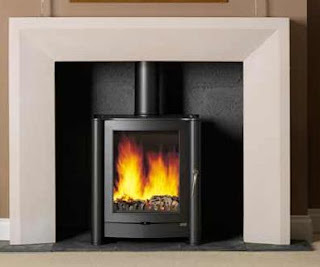 If you want efficiency but think the flueless range is not for you, try the Acquisitions X-FIRE 1200 Balanced Flue: the same lightweight, modern stone frames, similar flexibility of installation and low CO2 emissions – plus an attractive driftwood fuel bed, more generous flames and remote control. When you go out you can set the timer to warm the place up for your return. Relax in the company of unparalleled modern chic with an Acquisitions electric fire. Because no chimney or flue is required, these stylish electric X-FIRES with our patented lightweight frames can either be wall-hung or inset into a suitable wall. Available in four distinctive finishes including mirror and granite, with a choice of natural fuel beds, these streamlined, no-fuss models are operated by remote control. Simply plug in, sit back and enjoy the view. 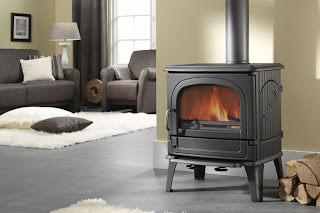 Cast Iron or Steel Woodburning Stoves – Which is Best? 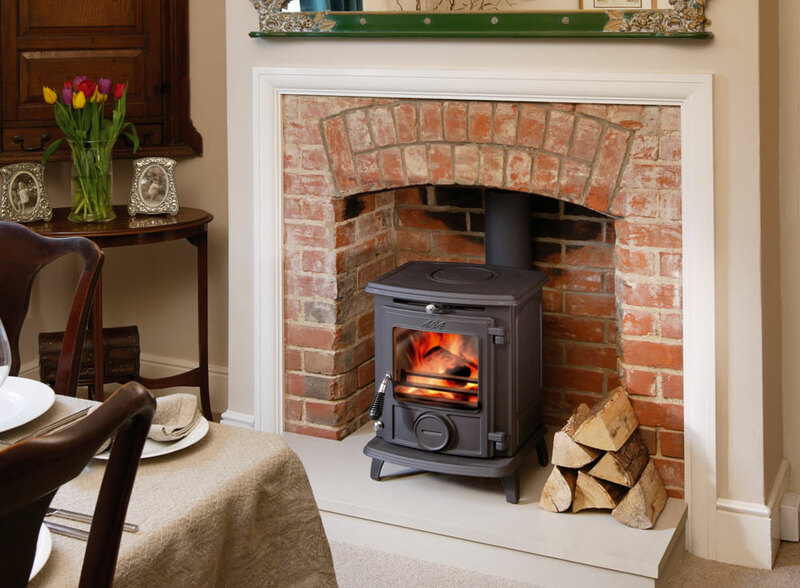 There’s a lot to consider when choosing a multi fuel or woodburning stove, and people often ask whether they should be buying a woodburner with a cast iron or steel body. Both materials have their advantages and both have their fans. People asking this question have usually been given either glowing recommendations or dire warnings about one material or the other by well-meaning friends. It’s important to remember that people who are happy with their stove tend to recommend the one they have, and that tales of problems are often exaggerated. Hopefully the below details should be able to put the advantages and disadvantages of each material into perspective and allow an informed decision, or even whether it matters to you at all. Cast iron is the traditional material used for multi fuel and woodburning stoves. Because cast iron stoves are made by pouring molten metal into moulds, decorative details such as motifs or patterns can be incorporated into the body of the stove to enhance its appearance, this is well demonstrated on the Broseley Serrano 5 which has the Broseley Logo cast into the side of the stove. Once hot, cast iron holds heat well and steadily radiates warmth into a room even after the fire in the stove has died down. While cast iron holds heat well, it takes a long time to get up to temperature. If you come home to a cold house and want instant heat, waiting for a cast iron multi fuel stove to warm up may be frustrating. Small variations in the surface of a cast iron woodburning stove are normal, just as it is normal to see grain patterns in a piece of wood, and are not considered to be faults. Steel stove bodies are cut from sheets of pressed steel and welded together, giving them much cleaner lines e.g the Firebelly FB2, than cast iron stoves. This makes steel ideal for manufacturing modern designer stoves to suit contemporary interiors. The surface of steel multi fuel stoves is very smooth and consistent, which appeals to the modern appetite for flawless finishes. Steel woodburning stoves can be fired up more quickly than cast iron stoves, and begin to give out heat into the room sooner as well. Historically steel woodburners have been associated with vulnerability to hotspots and warping, however these days the quality of steel used has improved so this is rarely a problem. We have tried to show the main differences between cast iron and steel stoves without getting too technical, and also to show that it isn’t necessarily a big issue when making your choice. Which wood burning stove is best depends on many factors including the size of the room, the size of the fireplace where the stove will be installed, how often you would use the stove, how much you rely on it as a heat source and how quickly you need it to give out heat into the room. It is also important to consider the aesthetic qualities of each material – for most people the stove is a focal point in their living room, so you want it to be something you are happy to look at every day! With Drugasar fires becoming ever more popular DRU have unveiled a new addition to the top-of-the line Metro range. The Metro 80XT is the smallest model in the popular Metro range and brings the same top of the range features of the Metro 100XT and Metro 130 into a smaller package, allowing it to be installed in properties or locations that perhaps would not be suited to a larger Metro Fire. The unique burner spreads the fire across the entire width and depth. The raised pane provides an even lovelier, bigger flame picture, further adding to the claim that Drugasar Gas fires are among the most realistic on the market. The fire can either have a log set or white Carrara pebbles, allowing you the choice of a ultra contemporary hole in the wall style fireplace with white pebbles and Ceraglass reflective interior, or perhaps a more traditional finish with a log fuel effect. While certainly looking the part, its lower heat output of 5.1kW makes this fire ideal for smaller living spaces, or as additional heating in the well-insulated modern home. The Metro 80XT also benefits from the luxury of the Drugasar Balanced Flue System, meaning you do not need to have a chimney to enjoy the flickering gas flames practically anywhere in the house, regardless of whether you have a chimney. As you can see in the video, left, the real gas flames are high a bright, really giving the impression of a real wood fire, this combined with the new glow material means that you get an even more realistic flame effect and glow effect along the base of the flames. The enduring appeal of gas fires and the ever-growing popularity of wood-burning stoves means that more homeowners than ever need to be fully aware of the dangers of carbon monoxide poisoning. Approximately 4,000 people are diagnosed with CO poisoning in England and Wales each year, while 50 people each year from accidental exposure to the gas. Traditionally the dangers of CO are associated with gas boilers and cookers. But in reality most, if not all gas, oil or solid-fuelled appliances could propose a Carbon Monoxide risk. Customers are becoming more aware of the risks of Carbon Monoxide, as each case in the news brings the risk back into the public eye and under the scrutiny of the public. Because of this, retailers are reporting an increased number of customer's interested in learning how to protect themselves from the dangers of the gas. Despite this, UK distributor of heating products BCG has seen an unprecedented spike in demand for woodburning stoves and gas fires. "The popularity of wood burning stoves and gas fires is soaring. Increasingly these heating methods are seen as a more cost efficient and effective way to heat the home. However, customers are aware that with this growing trend comes the increased risk of Carbon Monoxide." Carbon Monoxide is a poisonous gas produced by incomplete burning of carbon-based fuels including gas, oil, wood and coal. CO is odourless, colourless and tasteless. Carbon-based fuels are safe to use, it is only when the fuel does not burn properly that excess CO is produced. There are a number of causes of incomplete combustion including blocked chimney's, incorrect fitting of an appliance or poor appliance maintainence. When Carbon Monoxide enters the body, it prevents the blood from bringing oxygen to cells, tissues and organs. This has the potential to build up in the body and cause neurological damage or death in the worst cases. Checks: Risks are significantly reduced if all gas appliances, including boilers, fires and cookers undergo annual safety checks by a registered installer. Detectors:Carbon Monoxide detectors should be used whenever a Carbon-based fuel appliance is installed. This includes gas, solid fuel, or oil heaters, fires and stoves. Registered Installer: Ensuring that any gas fuelled appliance is installed by a Gas Safe registered installer and any solid fuel appliance installed by a HETAS engineer gives you peace of mind that your appliance has been correctly installed. Bear in mind that not only is it unwise to employ an un-registered fitter, but it is also illegal!